Elephant, standing. No mistaken identity here! 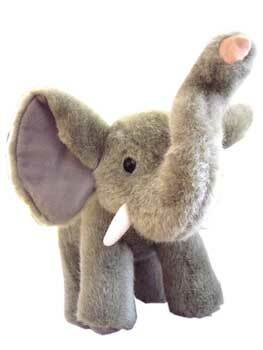 With its big ears and very perky trunk, this soft toy elephant is jolly good indeed. Each foot is several centimetres across, to give an idea of sturdy size. Great item.